Nicely done! Love the use of b&w photo. Such a sweet thing to do with your mom, Rae! Gorgeously documented too! Love the painted heart in the background and how it adds movement to the viewer. 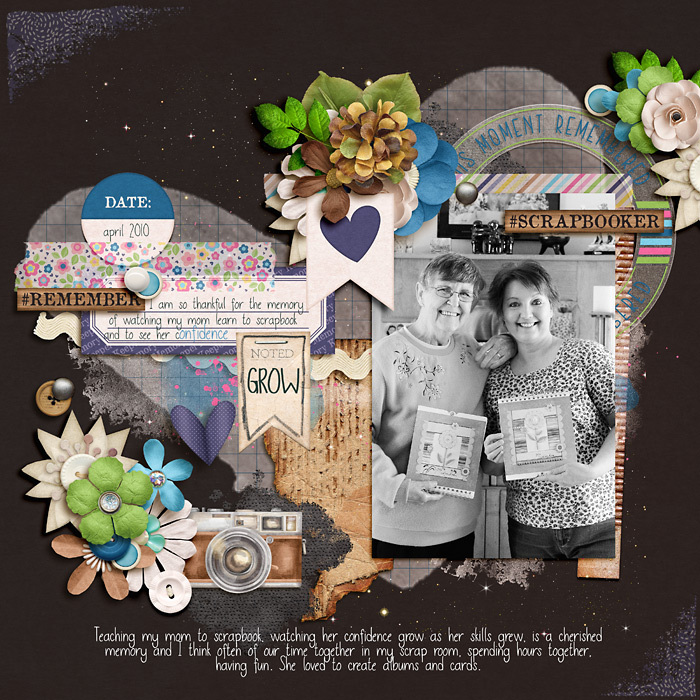 Beautiful clusters and pop against the dark background paper! Way to go, Mom!! What a beautiful and touching layout Rae. I love the photo, the heart in the background, the story and your beautiful clusters. I love everything about this layout. What a sweet memory, Rae! I love the dark background with the painted heart. Your journaling is very touching. The black & white photo is perfect with the colored clusters.